Credit card offers are everywhere - in your mailbox, on the internet, in stores you shop. 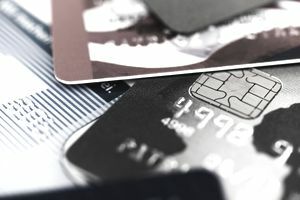 It's easy to apply for a credit card simply because the deal looks good or because you're offered a discount, but have you really stopped to think about whether that's the right card for you. You can save hundreds, and maybe even thousands, of dollars by shopping around for a credit card. There are many different types of credit cards to choose from: regular credit cards, rewards credit cards, and student credit cards, to name a few. Understand what kind of card you’re applying for before filling out the application. Do you plan to pay your balance in full each month? If so, a charge card might be the best option. That's if you have the excellent credit required to qualify for a charge card. Will you be using your card for balance transfers? You should look for a card with a low-interest rate on balance transfers. Do you plan to carry a balance from one month to the next? A credit card with a low-interest rate is ideal. The annual percentage rate, or APR, is the percentage applied to balances that you carry beyond the grace period. The higher the APR, the higher your finance charge will be when you have a revolving balance and the more you'll pay for using your the credit card. Most credit cards have a different APR for purchases, balance transfers, and cash advances. Make sure you know the APR for each. The grace period is the amount of time you have to pay your balance in full before a finance charge is added. The period is usually expressed in days from the billing date, i.e. “28 days from the billing date.” Longer grace periods are better because they give you more time to pay your bill without incurring a cost for the convenience of using credit. If you already have a balance on the credit card, new purchases may not have a grace period. You should know the amount of any fees and the circumstances under which the fees are applied. The most common types of fees include the annual fee, late fee, and over-the-limit fee. You may also be assessed fees for paying your account over the phone on the due date, requesting additional copies of your statement, or for having your check returned. The credit card company’s method of calculating the finance charge has an impact on the amount of the charge. Some methods consider only the current month’s balance while others consider the current and previous months’ balances. New purchases may or may not be included in the calculation. The credit limit influences your purchasing power. If you’re new to credit, it’s wise to start out with a low credit limit to become familiar with responsible credit card habits. Some financial situations allow a higher credit limit. Be wary of no-limit credit cards because they can sometimes look maxed out on your credit report. This can have a negative effect on your credit score. Some credit cards offer rewards for using your credit card. Make sure you fully understand the reward structure and the purchases required to receive the reward.